Those who have been looking for an unforgettable holiday camping site will love Le Val de Durance. Nestled inside of the Luberon Nature Preserve in Southern France, this resort offers a host of amenities. Do not hesitate to contact LUX-camp to learn more. Why is Le Val de Durance the Perfect Luxury Camping Site? Gorgeous weather throughout the year. Numerous on-site activities to experience. An extensive selection of mobile homes. A massive private lake no less than 9 acres in size. Le Val de Durance caters to those who envision a camping holiday as one which is associated with access to modern amenities. There are a number of advantages worth mentioning, such as wireless Internet, which is available throughout the site and an open-air pool provides another swimming location for those who may not wish to venture out to the coast. Luxurious mobile homes boast all of the comforts of home and laundry is never a problem thanks to washing machines and tumble dryers. 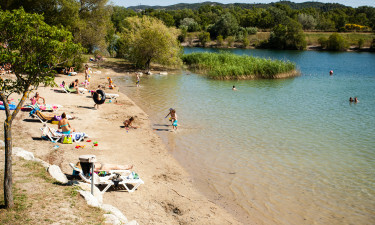 Le Val de Durance offers luxury camping for the entire family. Anyone who is planning on bringing along young children will be pleased to know that play areas and live entertainment are included within the standard pricing package. Such alternatives are ideal for parents who would otherwise be concerned in relation to the amount of activities that their young ones will enjoy. What would camping luxury be without nearby access to on-site bars and cosy restaurants? These are both present within Le Val de Durance. A bar is open during all seasons of the year; ideal for a mid-afternoon snack before hitting the beach or the pool. Takeaway food services and a quaint restaurant can also be enjoyed by those who may not desire travelling a great distance to dine. A corner shop grocery store that offers basic produce is likewise open throughout the year. Fresh fruits and vegetables, toiletries and bread can be purchased. As an extra convenience, this bread can also be delivered to mobile homes. Some other services worthwhile mentioning include barbecue rental, a cash point, baby chair rental and even the ability to purchase disposable sheets for bedding. 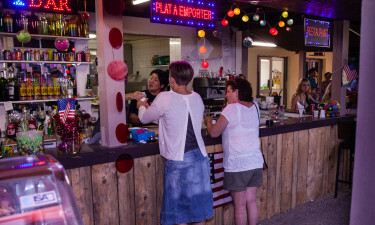 These are some of the amenities provided at the luxury camping site of Le Val de Durance. For more information, just get in touch with a representative at LUX-camp.